If you want to listen to one big music file that contains all your favorite songs, instead of creating a playlist. MP3 Cutter Joiner Free is the ideal tool. 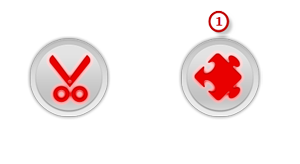 It is an easy, efficient, fast free MP3 joiner designed for joining audio files of different formats. The exclusive characteristic of it is that it is able to directly join audio files without quality loss and reencoding effort. It is your wise choice for non-destructive MP3 joining. 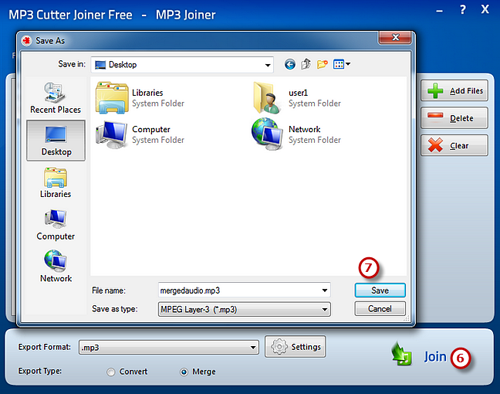 This post will clearly show you How to Join Audio Files with MP3 Cutter Joiner Free. How to Join Audio Files? The first thing is to download MP3 Cutter Joiner Free. 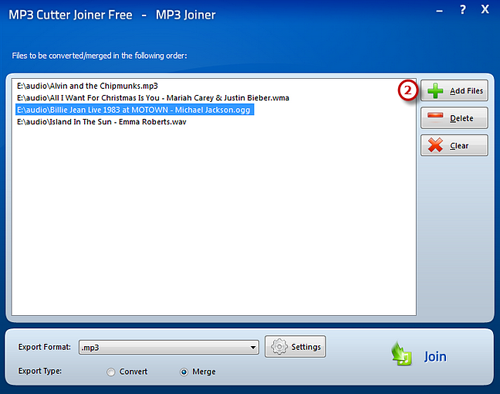 After installing MP3 Cutter Joiner Free, choose “MP3 Joiner Free” to launch. Click “Add Files” to add audio files to the task list. You can also simply drag & drop or copy & paste the files to the program window. To queue the listed audio files, just drag them to the position you want. By “Delete” or “Clear” button, you can remove the selected ones or all of them. Choose an output format among *.mp3, *.wma, *.wav and *.ogg from the “Export Format” drop-down list. Click “Settings” to adjust the output quality with custom presets or specify the configuration parameters such as Mode, Bit Rate, Quality Level, etc. to meet your demands. Then, choose the “Merge” mode from the “Export Type” (You can choose “Convert” mode if you want to convert audio files). After everything is ready, click “Join” to choose the output file location and enter the output file name in the activated window. Finally, click “Save” to start joining. The music files are completely joined when the process bar disappears. 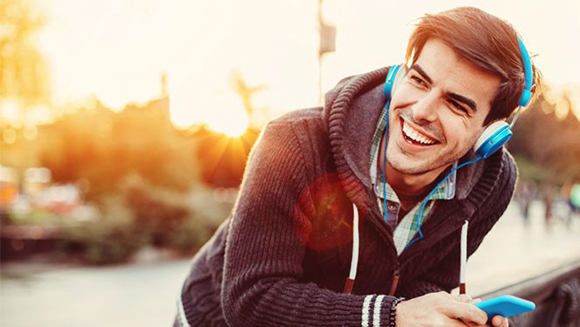 In a few seconds you can enjoy your joined audio file on your portable player. That’s all for how to join audio files. Q: Is the quality compromised in any way for audio merging? A: Actually it won’t. Because MP3 Cutter Joiner Free works in frame mode and there is no decode & encode actions while merging. It will keep exactly the same sound quality of original MP3 files without any re-encoding. Q: What if I want to add blank between joined tracks? A: By default, MP3 Cutter Joiner Free joins all audio tracks directly and they will play one after another with no blank space between them. If you need to add blank between those joined tracks, you need to upload a blank audio file, such as a few seconds blank audio file and add it right after the MP3 file you are going to merge in the merging list. MP3 Cutter Joiner Free is broadly known as the best audio joining tool on the market. It is a perfect audio cutting and joining program which can be used to complete all of your requests. The coolest thing about MP3 Cutter Joiner Free is its powerful compatibility, supporting files of different formats and sizes. It’s fast and stable and it’s also absolutely free. It is a good option if you are looking for something simple and straightforward. What you need to do is simply input the files that you wish to join together and hit the join button.